The E.S.I KIDS programme has been created by Pamela Seagal to maximise a student’s ability to learn. This is achieved through developing English language skills, nurturing multiple intelligences, and expanding the learner’s emotional and social quotient. It teaches learners to use English to better manage challenging or stressful situations, both in the classroom and at home, by providing natural and appropriate language for social situations. Additionally, learners are given the opportunity to personalise their newly developed knowledge by drawing on their own life experiences. The ESI programme is designed in such a way that educators use a vast variety of materials and teaching aids to enhance the activities, themes and topics taught. Children are encouraged to constantly use materials to complete their assignments and worksheets as a follow-up activity after the main lesson is delivered. Ground rules are set where children are taught to share and return all materials after use to the respective places. In the process, Shahira’s manipulative skills and fine motor development have improved. The objective of the ESI programme is also to expose children to the various themes and topics that are relevant and closely linked to the daily lives. Themes such as, “Respect for others”, “Basic Etiquettes-polite greetings and manners”, “Courteous Words we could use”, “Caring for Pets”, “Festivals”, “Cultures”, “Family Togetherness”, “What Can I do while waiting for mummy to return from work”, “Bedtime routines”, etc. allow preschoolers to discuss and talk about what they know pertaining to the themes and topics. The aim is to get children to work towards logical, abstract problem-solving, think extensively and explore these themes/topics with the teacher and friends. Shahira has learnt to speak with respect to others and focus on words such as “please”, “thank you”, “you are welcome”, “may I”, “How are you”, etc. She is more confident to engage in conversations with both adults and her peers and asks both close and open-ended questions to achieve clarity. Expressive language has developed tremendously due to the various activities she had been exposed to during the ESI lessons. Opportunities had been given for Shahira to express her thoughts and feelings on topics that are relevant to her. Receptive language has also improved as the children are taught to listen attentively when the teacher/facilitator or classmate/peer is talking and sharing experiences. The ESI curriculum is designed in such a way that every individual child has the room for expression and the freedom of speech. Time is allocated for their voices to be heard. 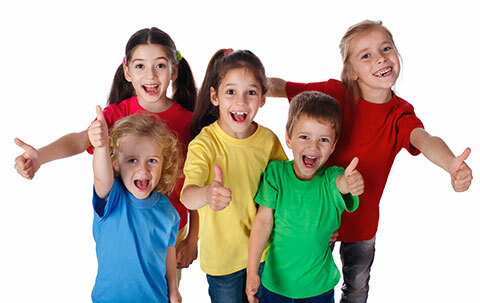 The activities are mostly child-centered and hands-on (which children enjoy and benefit from the most). On the whole, Shahira is confident in expressing her thoughts and feelings. Her self-esteem has improved and she has developed the liking to work in a group and be a team player. The ESI programme focuses on individual, small group and large group activities to cater to the different needs of preschoolers. She is generally a happier child and looks forward to attend each class every week. Shahira has learnt to play cooperatively with her peers. Most importantly, she learns to share and take turns. Sharira is generally more helpful and has displayed sensitivity to the needs of others. She enjoys the company of family and friends and loves to exchange conversations. She happily renders her assistance around the house and is generally easier to manage and convince. From a professional educator’s and parent’s point of view, as mentioned, I sincerely believe that the ESI programme my daughter attended has proven to be successful and highly beneficial to her overall development. I can confidently say that the main aim of the ESI programme is to make sure that the children develop in totality and holistically, in all developmental domains namely physical, intellectual/cognitive, language, emotional, and social. He seemed to be more polite and he is very confident in expressing himself. I am very happy to see that. Aaditya simply loves to attend this lesson and he is proud of all the work he had done during the lesson. He always look forward to ESI and he knows when it is held as well. From there I could sense that he loves ESI lesson and am very happy to see that. As for the teacher, Aaditya adores her as she is very positive and encouraging towards all the pupils. And she always gives positive comments, stickers etc which made my boy adore her. He is always full of stories to tell me after the lesson. I really appreciate all the hardwork that has been put forth by the teacher as well as the management. Adding to that, at times he corrects his siblings, cousins, friends even his uncles aunts etc with regards to the phrase. I am really very happy and satisfied in sending him for this enrichment (ESI). After 6 months, I noticed progressively that they are now much more expressive in using the English language to describe their feelings and emotions. Their confidence in using the English language in stringing coherent sentences is also observed. Most important of all they appear to enjoy the class. Being twin siblings they also have the added advantage of practising on each other what they learn in school. Rachyl has benefited from attending the ESI programme. Her self-confident has improved. She is no longer shy and timid when dealing with people around her. We are very happy with her interests and progress.